A hotly anticipated Apple event will take place later today and the rumor mill is adamant that the star of the show will be the iPad mini. We’ve seen a long, LONG stream of leaks of just about every component of the iPad mini, so let’s unwind with a bit of lighthearted humor before the big event begins. 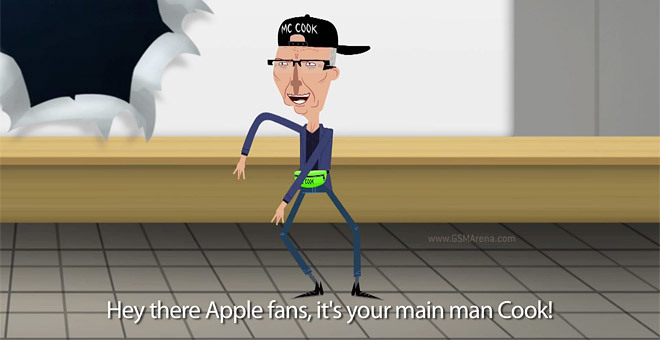 First, there’s an animated music video that tells the story of the creation of the iPad mini and features a couple of surprising cameos. In case you missed it, the same people behind this video also made an iPhone 5 parody (where you can see the Steve Jobs rap that the video above refers to). Then is a mock promo video, which asks a legitimate question – where does the iPad mini fit between the full-size iPad and iPhone/iPod touch. Jokes aside, we’ll be covering the Apple event (it starts at 5pm GMT / 10am PDT), so make sure to check back with us for info on the iPad mini – and anything else Apple might announce (a 13″ MacBook Pro with Retina display and new Mac Minis are also likely attendees). Thanks to moujib and the_seba who sent in the videos!